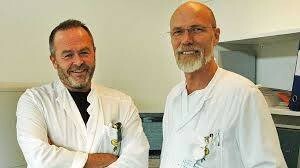 Norwegian researchers have commenced phase II trials of the anti-cancer drug cyclophosphamide on ME/CFS patients. Led by senior consultant Dr Øystein Fluge and Prof Olav Mella, the team is focusing on non-responders and those patients who have relapsed after treatment with rituximab, a B-cell depleting drug. Forty patients with moderate to serious myalgic encephalomyelitis (ME) (sometimes referred to as me/cfs or chronic fatigue syndrome) are taking part in the cyclophosphamide trial, which began in March this year and is scheduled for completion by September 2016.